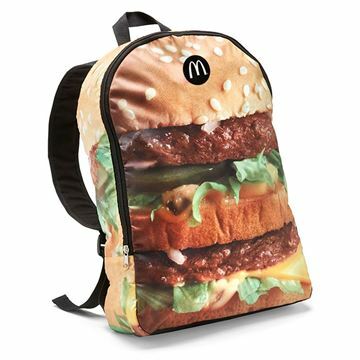 This roomy backpack features a dye sublimated print of the Big Mac. - Measures 12" x 17" x 4"
- Measures 5" x 7"
Rectangular, white luggage tag with write-on surface on the back. 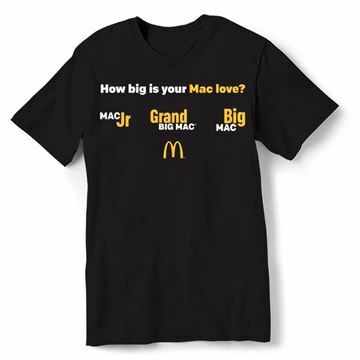 - Screen printed Hamburger University logo on front. 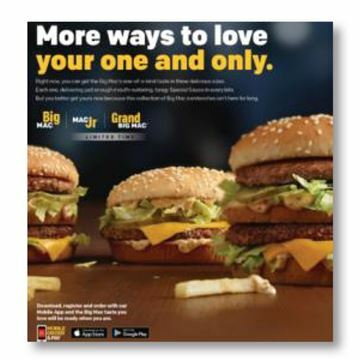 - Dimensions: "2-1/4"" x 4""
- Card measures 8-1/2" x 9" x 1"